The Camden County Freeholder Board has released the 2016 Park Events Guide featuring the 25th Anniversary Season of the Sunset Jazz series at Wiggins Waterfront Park with Kirk Franklin, Spyro Gyra and Michael McDonald just to name a few. In the guide residents can find all the information their family needs for a season of no-cost or low-cost fun that’s hard to beat. In addition to concerts, there are festivals, sporting events and programs for individuals with disabilities. Enjoy Lisa Loeb and the John Byrne Band at Haddon Lake Park’s Sundown Music Series or the Fabulous Grease Band and Stan Wade’s Trammps performing as part of the On the Road Concert Series. The City Rhythm Orchestra or Pure Prairie League will also take the stage of the Twilight Concert Series at Cooper River Park. Family fun will be available at Kidzfest in Challenge Grove Park or watching Minions and Zootopia at the Starlight Movie Series. At Challenge Grove Park, Jake’s Place is a playground where all children of all abilities can play together and Boundless Field hosts Miracle League Baseball games. Try sporting events, workshops and walks to support your favorite charity. There are also bike and hiking trails, nature trails and “Bark in the Park” at the dog park in Timber Creek Park. The green space of the Camden County Parks System offers you over 2,000 acres of natural settings for picnics, family gatherings, sporting events, beautiful waterways for fishing and boating, a wealth of playgrounds and a variety of ball fields that are close to home. 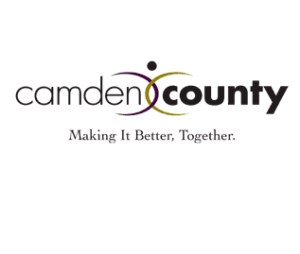 To view the guide online, visit www.camdencounty.com/2016Guide.